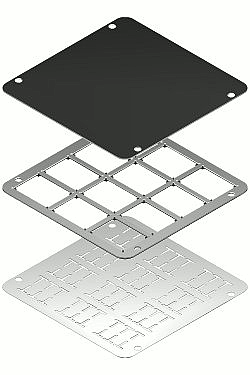 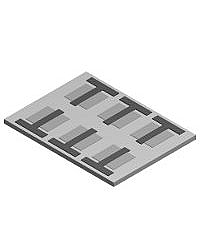 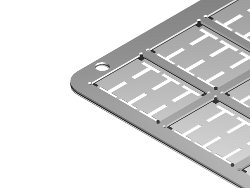 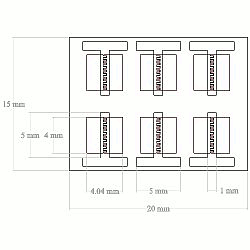 The OFET gate shadow mask is designed for thermal evaporation of gates either above or below the source-drain contacts on Ossila's standard OFET substrates (20 mm x 15 mm). 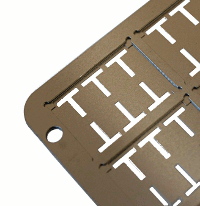 The substrates are kept away from direct contact with the mask by use of a 200 μm spacer which prevents damage to delicate polymer layers and allows evaporation of any residual solvents while in vacuum chambers. 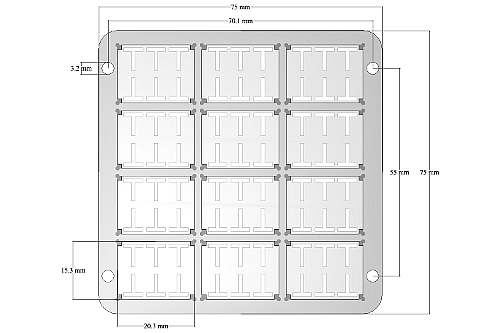 Dimensions (left) and schematic (right) of the substrate system including source-drain contacts.